The EdgePoint™ Switch 16 offers an innovative combination of robust performance, fiber backhaul capability, and the convenience of passive PoE support. Built specially for WISP control. 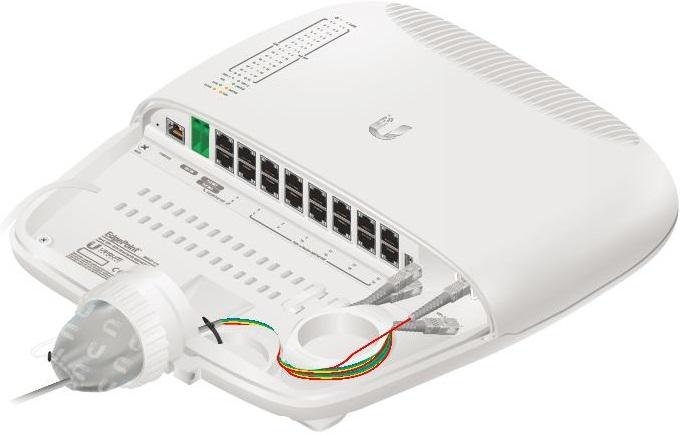 The EdgePoint Switch 16 features sixteen RJ45 gigabit ethernet ports and two SFP+ ports. The EdgePoint features a graphical user interface designed for convenient setup and control. Accessed via a network port and web browser, the user-friendly interface provides intuitive management with a virtual view of the ports, is playing physical connectivity, speed, and status. *Do NOT configure Port 1 or 2 in PoE Output mode if you are using PoE Input power sources.